Alexander, R. McN., Jayes, A. S., Maloiy, G. M. O., and Wathuta, E. M., 1979, Allometry of the limb bones of mammals from shrews (Sorex) to elephant (Loxodonta), J. Zool., Lond. 189: 305-314. Alexander, R. McN., and Maloiy, G. M. O., 1984, Stride lengths and stride frequencies of primates, J. Zool., Lond. 202: 577-582. Baba, H., 1988, Locomotor adaptation of the structure of proximal humerus in the primates and other mammals, Bull. Natn. Sci. Mus., Tokyo, Ser. D. 14: 9-17. Burr, D. B., Ruff, C. B., and Johnson, C., 1989, Structural adaptation of the femur and humerus to arboreal and terrestrial environments in three species of macaque, Am. J. Phys. Anthropol. 79: 357-368. Cartmill, M., 1972, Arboreal adaptations, and the origin of the order Primates, in: The Functional and Evolutionary Biology of Primates, R. Tuttle, ed., Aldine, Chicago, pp. 97-122. Cartmill, M., 1974, Pad and claws in arboreal locomotion, in: Primate Locomotion. J. Hum. Evol. 17: 35-56. Dagosto, M., and Terranova, C. J., 1992, Estimating the body size of Eocene primates: A comparison of results from dental and postcranial variables, Int. J. Primatol. 13: 307-344. Demes, B., and Jungers, W. L., 1989, Functional differentiation of long bones in lorises, Folia Primatol. 52: 58-69. Demes, B., and Jungers, W. L., 1993, Long bone cross-sectional dimensions, locomotor adaptations and body size in prosimian primates, J. Hum. Evol. 25: 57-74. Demes, B., Jungers, W. L., and Nieschalk, U., 1990, Size- and speed-related aspects of quadrupedal walking in slender and slow lorises, in: Gravity, Posture and Locomotion in Primates, F. K. Jouffroy, M. H. Stack, and C. Niemitz, eds., Firenze: Il Sedicesimo, pp. 175-197. Demes, B., Jungers, W. L., and Selpien, K., 1991, Body size, locomotion, and long bone cross-sectional geometry in Indriid primates, Am. J. Phys. Anthropol. 86: 537-547. Demes, B., Larson, S. G., Stern, J. T. Jr., and Jungers, W. L., 1992, The hindlimb drive of primates—Theoretical reconsideration and empirical examination of a widely held concept, Am. J. Phys. Anthropol., Suppl. 14: 69. Demes, B., Larson, S. G., Stern, J. T. Jr., Jungers, W. L., Biknevicius, A. R., and Schmitt, D., 1994, The kinetics of "hind limb drive" reconsidered, J. Hum. Evol. 26: 353-374. Fleagle, J. G., and Simons, E. L., 1982, The humerus of Aegyptopithecus zeuxis: A primitive anthropoid, Am. J. Phys. Anthropol. 59: 175-193. Ford, S. M., 1988, Postcranial adaptations of the earliest platyrrhine, J. Hum. Evol. 17: 155-192. Gebo, D. L., 1989a, Locomotor and phylogenetic considerations in anthropoid evolution, J. Hum.. Evol. 18: 201-233. Gebo, D. L., 1989b, Postcranial adaptation and evolution in Lorisidae, Primates 30: 347-367. Gebo, D. L., MacLatchy, L., Kityo., Deino, A., Kingston, J., and Pilbeam D., 1997, A hominoid genus from the Early Miocene of Uganda, Science 276: 401-404. Godfrey, L., Sutherland, M., Boy, D., and Gomberg, N., 1991, Scaling of limb joint surface area in anthropoid primates and other mammals, J. Zool., Lond. 223: 603-625. Godinot, M., and Beard, K. C., 1991, Fossil primates hands: A review and an evolutionary inquiry emphasizing early forms, Human Evol. 6: 307-354. Godinot, M., and Jouffroy, F. K., 1984, La main d'Adapis (Primates, Adapidae), in: Actes du symposium paleontologique, G. Cuvier, E. Buffetaut, J. M. Mazin, and E. Salmion, eds., Montbeliard, pp. 221-242. Harrison, T., 1989, New postcranial remains of Victoriapithecus from the middle Miocene of Kenya, J. Hum. Evol. 18: 3-54. Howell, A. B., 1944, Speed in Animals, University of Chicago Press, Chicago. Kimura, T., 1985, Bipedal and quadrupedal walking of primates: Comparative dynamics, in: Primate Morphophysiology, S. Kondo, ed., Locomotor Analyses and Human Bipedalism, University of Tokyo Press, Tokyo, pp. 81-104. Kimura, T., 1991, Long and robust bones of primates, in: Primatology Today, A. Ehara, T. Kimura, O. Takenaka, and M. Iwamoto, eds., Elsevier, New York, pp. 495-498. Kimura, T., 1992, Hind limb dominance during primate high-speed locomotion, Primates 33: 465-476. Kimura, T., 1995, Long bone characteristics of primates, Z. Morphol. Anthropol. 80: 265-280. Krahl, V. E., 1944, An apparatus for measuring the torsion angle in long bones, Science 99: 498. Larson, S. G., 1995, New characters for the functional interpretation of primate scapulae and proximal humeri, Am. J. Phys. Anthropol. 98: 13-35. Larson, S. G., 1996, Estimating humeral torsion on incomplete fossil anthropoid humeri, J. Hum. Evol. 31: 239-257. Larson, S. G., 1998, Unique aspects of quadrupedal locomotion in nonhuman primates, in: Primate Locomotion, E. Strasser, J. Fleagle, A. Rosenberger, and H. McHenry, eds., Plenum Press, New York, pp.157-173. Larson, S. G., and Stern, J. T. Jr., 1989a, The role of supraspinatus in the quadrupedal locomotion of vervets (Cercopithecus aethiops): Implications for interpretation of humeral morphology, Am. J. Phys. Anthropol. 79: 369-377. 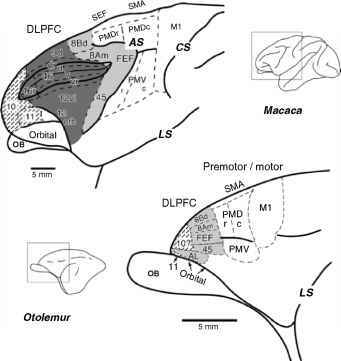 Larson, S. G., and Stern, J. T. Jr., 1989b, The role of propulsive muscles of the shoulder during quadrupedalism in vervet monkeys (Cercopithecus aethiops): Implications for neural control of locomotion in primates, J. Motor Behavior. 21: 457-472. Larson, S. G., Schmitt, D., Lemelin, P., and Hamrick, M., 2001, Limb excursion during quadrupedal walking: How to primates compare to other mammals? J. Zool., Lond. 255: 353-365. Martin, R. D., 1972, Adaptive radiation and behavior of the Malagasy lemurs, Phil. Trans. Royal. Soc. Lond. 264: 295-352. McCrossin, M., 1992, New species of bushbaby from the Middle Miocene of Maboko Island, Kenya, Am. J. Phys. Anthropol. 89: 215-233. Napier, J. R., 1967, Evolutionary aspects of primate locomotion, Am. J. Phys. Anthropol. 27: 333-342. Napier, J. R., and Walker, A. C., 1967, Vertical clinging and leaping-A newly recognized category of locomotor behaviour of primates, Folia Primatol. 6: 204-219. Prost, J. H., 1965, The methodology of gait analysis and gaits of monkeys Am. J. Phys. Anthropol. 23: 215-240. Rafferty, K. L., and Ruff, C. B., 1994, Articular structure and function in Hylobates, Colobus, and Papio, Am. J. Phys. Anthropol. 94: 395-408. Reynolds, T. R., 1985, Stresses on the limbs of quadrupedal primates, Am. J. Phys. Anthropol. 67: 351-362. Reynolds, T. R., 1987, Stride length and its determinants in humans, early hominids, primates, and mammals, Am. J. Phys. Anthropol. 72: 101-116. Rollinson, J., and Martin, R. D., 1981, Comparative aspects of primate locomotion, with special reference to arboreal cercopithecines, in Vertebrate Locomotion, M. H. Day, ed., Symposia of the Zoological Society of London, No. 48, Academic Press, London, pp. 377-427. Rose, K. D., 1995, The earliest primates, Evol. Anthropol. 5: 159-173. Rose, M. D., 1973, Quadrupedalism in primates, Primates 14: 337-357. Rose, M. D., 1989, New postcranial specimens of catarrhines from the Middle Miocene Chinji Formation, Pakistan: Descriptions and a discussion of proximal humeral functional morphology in anthropoids, J. Hum. Evol. 18: 131-162. Ruff, C. B., and Runestad, J. A., 1992, Primate limb bone structural adaptations, Annu. Rev. Anthropol. 21: 407-433. Schaffler, M. B., Burr, D. B., Jungers, W. L., and Ruff, C. B., 1985, Structural and mechanical indicators of limb specialization in primates, Folia Primatol. 45: 61-75. Schmidt, M., and Fischer, M. S., 2000, Cineradiography: study of forelimb movements during quadrupedal walking in the brown lemur (Eulemur fulvus, Primates: Lemuridae), Am. J. Phys. Anthropol. 111: 245-262. Schmitt, D., 1994, Forelimb mechanics as a function of substrate type during quadrupedalism in two anthropoid primates, J. Hum. Evol. 26: 441-457. Schmitt, D., 1998, Forelimb mechanics during arboreal and terrestrial quadrupedalism in Old World monkeys, in: Primate Locomotion: Recent Advances, E. Strasser, J. Fleagle, A. Rosenberger, and H. McHenry, eds., Plenum Press, New York, pp. 175-200. Schmitt, D., 1999, Compliant walking in primates, J. Zool., Lond. 248: 149-160. Schmitt, D., Larson, S. G., and Stern, J. T. Jr., 1994, Serratus ventralis function in vervet monkeys (Cercopithecus aethiops): Are primate quadrupeds unique? J. Zool., Lond. 232: 215-230. Vilensky, J. A., 1980, Trot-gallop transition in a macaque, Am. J. Phys. Anthropol. 53: 347-348. Vilensky, J. A., 1987, Locomotor behavior and control in human and nonhuman primates: Comparisons with cats and dogs, Neurosci. Biobehav. Rev. 11: 263-274. Vilensky, J. A., 1989, Primate quadrupedalism: How and why does it differ from that of typical quadrupeds, Brain Behav. Evol. 34: 357-364. Vilensky, J. A., and Larson, S. G., 1989, Primate locomotion: Utilization and control of symmetrical gaits, Annu. Rev. Anthropol. 18: 17-35. Walker, A., 1970, Post-cranial remains of the Miocene Lorisidae of East Africa, Am. J. Phys. Anthropol. 33: 249-262. Walker, A., 1974, Locomotor adaptations in past and present prosimian primates, in: Primate Locomotion, F. A. Jenkins, Jr., ed., Academic Press, New York, pp. 349-381. Whitehead, P. F., and Larson, S. G., 1994, Shoulder motion during quadrupedal walking in Cercopithecus aethiops: Integration of cineradiography and electromyographic data, J. Hum. Evol. 26: 525-544.